Come watch the game from Section 102 or 103! Pittsburgh Riverhounds SC is an American professional soccer team based in Pittsburgh, Pennsylvania. 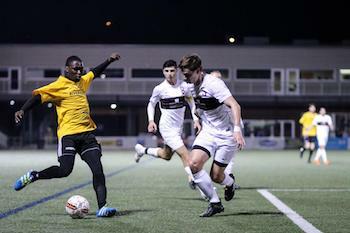 Founded in 1998 and beginning play in 1999, the club plays in the Eastern Conference of the United Soccer League, the second tier of the American soccer pyramid. 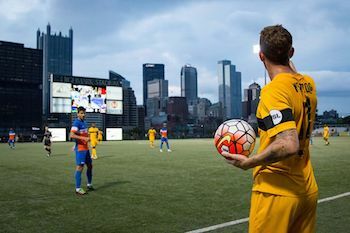 Since 2013, the Riverhounds have played their home games at the 5,000-seat Highmark Stadium, a soccer-specific stadium located in Station Square. Tickets are only good for the specific game and section you choose.